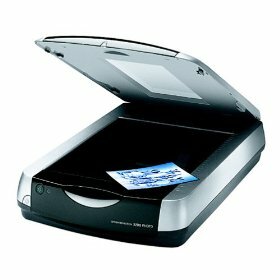 The Epson Perfection 3200 Scanner offers premium quality scanning and the versatility to handle virtually any photography application. With image quality and features comparable to that of more expensive scanners, this high-value performer produces sharp, high-quality results at lightning-fast speeds. And, it scans everything from negatives, photos, and slides to transparencies, graphics and text. Delivering astounding 3200 x 6400 dpi resolution, the Epson Perfection 3200 PHOTO offers phenomenal clarity and detail, whatever the task at hand. With Epson's ColorTrue® II Imaging System and 48-bit scanning, it consistently delivers vivid, true-to-life colors.